It is possible to limit the online appearance of packages to subjects belonging to specific folders. This is ideal for situations where different products need to be offered to different groups of subjects. Consider the following two scenarios. On photography day you photograph siblings, shooting one or more images of the siblings together. These images are matched to a sibling's subject, for example "Smith Children", and therefore have their own subject key. All the sibling subjects are in a folder called Siblings. 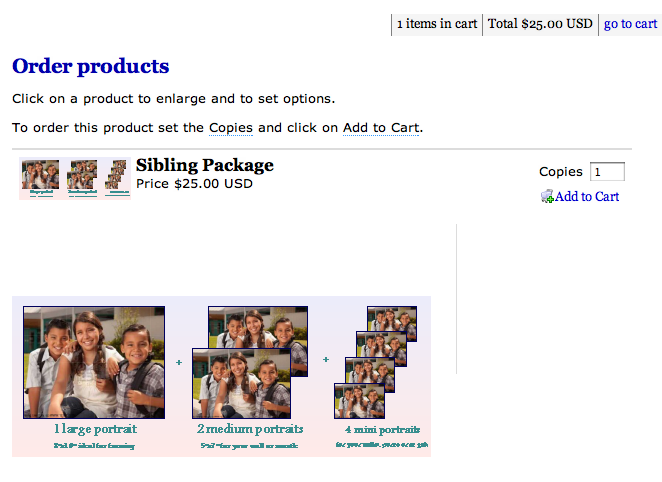 You offer a special "siblings" package - a set of products you wish made available only for sibling photos but not for individual photos. 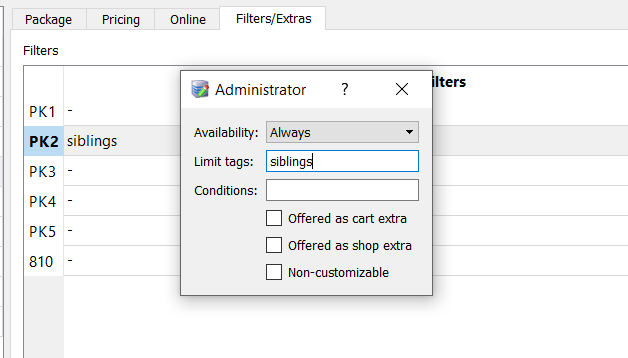 By giving the Siblings folder (in Details Mode) and the package (in tsAdmin) matching tags, it is possible to restrict the appearance of the Siblings package to only those subjects inside the Siblings folder. As a result of using folder and package tags, a parent may order from one set of products for the individual portraits of their children while ordering from another set of products for the sibling photo. You are photographing a high school where the junior and middle year levels are to receive a composite group photograph whereas the senior school is also offered a traditional (names under) class group photo. By using folder tags it is possible to limit the appearance of the traditional group product to only those subjects in the senior year levels. Beginning in Version 4.2 folders may be assigned a tag by selecting a folder and entering a value into the "Tags" field. 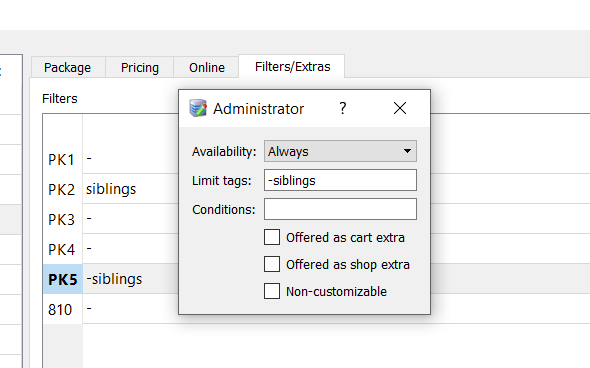 Once tags have been entered for the desired folders, matching tags are entered for packages in an offer. Once a tag has been entered for a package, the package will only be offered to subjects in a folder or folders with a matching tag. Figure 4: Using negative tags. Package PK1 will be displayed to all subjects not tagged with "siblings"